Less than two weeks before Samsung will introduce its next flagship smartphone, the Galaxy S III has been spotted on a German Amazon site. 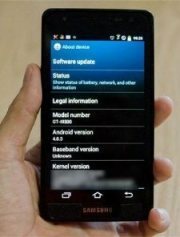 The listing describes the device as having a 4.7-inch Super AMOLED touchscreen, a 12-megapixel camera with autofocus, LED flash and face detection, the Android 4.0 Ice Cream Sandwich operating system, and 16GB of internal memory, expandable to 32GB. Before you get too worked up about those specs, you should know that just yesterday PCWorld’s Jared Newman reported that what may have been the Galaxy S III appeared in a video on Tinhte, a Website notorious for revealing unannounced phones. According to the Vietnamese site, the Galaxy S III sports a 1.4 GHz quad-core processor, a 4.6-inch display with 1184 by 720 resolution, 1 GB of RAM, an 8-megapixel camera, 16 GB of storage, microSD expandability, a 2050 mAh battery, and NFC capability. And like Samsung’s Galaxy Nexus, the video showed the phone making use of software navigation instead of dedicated hardware buttons -- a feature that helped the Galaxy Nexus garner acclaim from users who like its slick look and feel. The Amazon listing, which appears without an image of the Galaxy S III, is categorized under “Mobile Phones without contract” and prices the phone at €599 ($788 using the current conversion rate). 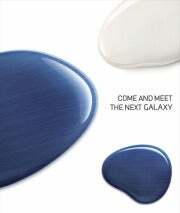 One thing is certain -- anticipation for this phone is almost palpable and conjecture about Samsung’s successor to the Galaxy S II has been thick in recent months and most likely will continue right up until Samsung takes the wraps off “the next Galaxy” at an event in London on May 3. Leaks aside, PCWorld’s Daniel Ionescu points out that previous iterations of the Galaxy S and S II sold a cumulated 30 million, so the pressure is on for Samsung to deliver a killer device that would rival Apple’s iPhone. While doing so is no small feat, Samsung has certainly brought some impressive devices to market recently and improving upon them even more is sure to be a boon for Android fans.